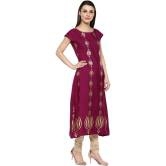 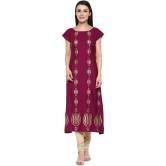 Flaunt Sartorial Elegance When You Wear This Dark Pink Coloured Kurta By Anuswara. 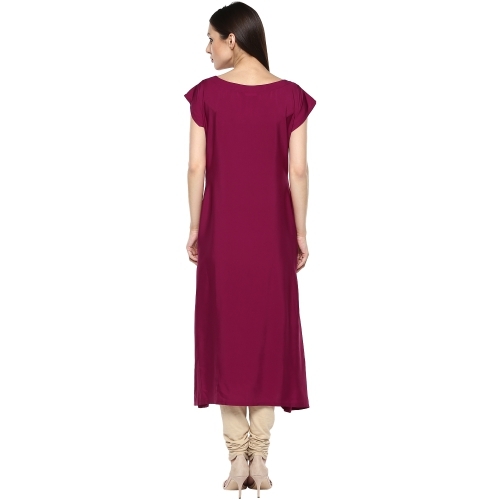 Designed With Absolute Perfection, This Flared Crepe Kurta Is Soft Against The Skin And Will Keep You At Ease. 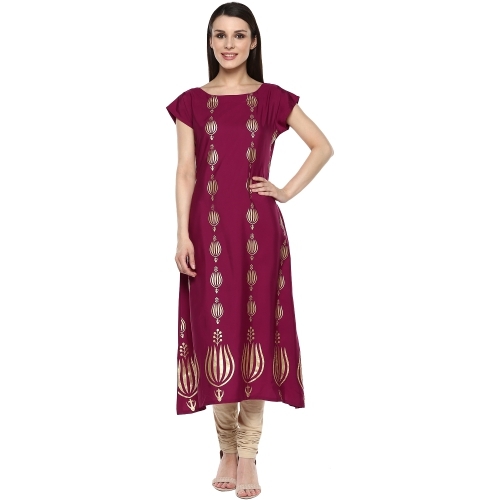 This Attractive Foil Print Kurta Will Surely Fetch You Compliments For Your Rich Sense Of Style.